Oftentimes, patients experience serious and even deadly consequences of the prescription drugs they take. While the treatment sometimes seems right, doctors are frequently wrong, and drug makers aren’t quick to report issues if they are making a profit. 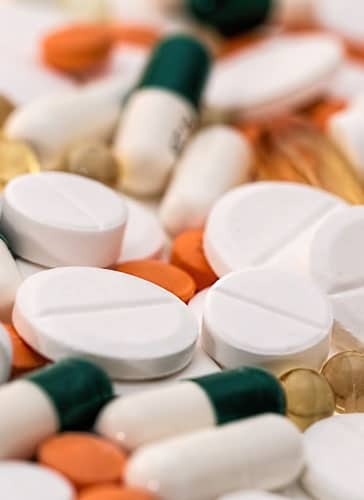 Personal injury attorneys who are experienced in litigating hazardous prescription drug cases understand this and are ready to help you if you were the victim of a negligent drug maker or medical staff. What Drugs Are Considered Hazardous? Our experienced attorneys are aware of a series of hazardous prescription drugs. We are here to help you get back on your feet if you experienced serious or even deadly consequences associated with any of the following drugs. While these are some of the examples, there are countless others that may expose you or a loved one to health conditions that will require medical attention and years of treatment. Drugs such as Actos, Byetta, Bydureon, Glyburide, Invokana, Janumet, Januvia, Kombiglyze XR, Lipitor, Onglyza, and Victoza are all used in the treatment of diabetes. Pain relief medication that can also be hazardous include Acetaminophen, Enbrel, Fentanyl, Lamisil, Lotronex, Methadone, Morphine Sulfate, Neurontin, Oxycontin Pain Pumps, Quinine, and Rituxan. Drugs used to treat heart conditions such as Cardura, Trasylol (Aprotinin), and Vytorin can be hazardous and drugs used to help manage weight such as Alli, Hydroxycut, and Meridia could also pose risks. Drugs related to issues such as low testosterone and products used as contraceptives may also pose risks. Whenever you feel your case may lead to a product liability claim involving pharmaceutical drugs, do not hesitate to get the best legal team by your side. Our defective drugs lawyers have years of experience with product liability cases. Do not let a pharmaceutical company get off the hook with making you sick. IF YOU, OR A LOVED ONE, HAVE BEEN SERIOUSLY INJURED BY A DANGEROUS DRUG – CALL TODAY FOR A FREE CONSULTATION!